4G operator Busy, has in line with its strategy to focus on empowering the youth and entrepreneurs, has organized the maiden edition of its monthly discussion series intended to focus on topical issues that will directly contribute to the growth of the SME sector. Dubbed ‘Busy Network Series’, the first edition focused on SME driven policies and initiatives being rolled out by government, fund management, funding opportunities and how SMEs can take advantage of them. Addressing a gathering of a cross section of SMEs at its flagship shop in Accra, Chief Executive Officer of Busy, Praveen Sadalage said Busy has always championed the course of startups and small businesses. 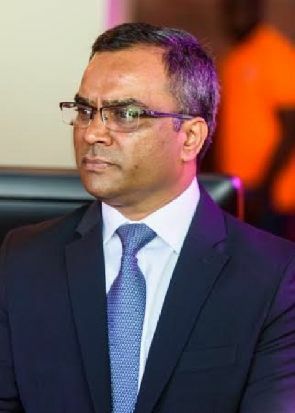 “From the days when we had a mixed-use facility setup where entrepreneurs without offices or formal addresses could come work out of our offices and take advantage of our business support services; we are looking to scale up our support for the SME market by further creating platforms and providing solutions that will empower them to grow their businesses”, he said, adding that the Busy Network Series will create opportunities for first hand interactions between entrepreneurs, policy makers and other relevant industry players on topics that will ultimately drive the growth of SME’s within our economy. Mr. Sadalege added that having identified the SME market as a major growth driver of the economy; in terms of creating employment, revenue generation for government and wealth creation, it is imperative that purpose-driven Ghanaian brands like Busy see it as a responsibility to create platforms and offer support services that will support the growth of this industry. The Director of Investments at the Ghana Investment Promotion Center, Edward Ashong- Lartey re-emphasized the importance of SMEs to Ghana's transformation and growth of the economy. He said SMEs account for 25% of revenue of banks operating in Ghana. He noted that due to government’s resolve to drive growth within the SME sector, it is rolling out several initiatives to support the sector. He mentioned that government is repositioning the National Board for Small Scale Industries (NBSSI) which has been set up for SMEs and MASCLOC to support the rapid growth of the sector. He also outlined the numerous support services that the GIPC provides and advised that SMEs take advantage of these services. Speaking on funding opportunities and fund management for SMEs, Dominic Donkoh, Head of Business and Retail Banking at OMNI Bank reminded the gathering of funding opportunities available on the market, adding that SMEs must commit to proper book keeping and take advantage of the numerous support services available to implement best financial practices within their businesses since this was key amongst other factors to accessing funding. The Busy Network Series will come off every month and will focus on different sectors of business and topics that have direct impact on the growth of the SMEs in Ghana.